In order to make my bacon limit last longer, I decided to start mixing it into foods I eat normally, in smaller quantities so I wouldn’t run out by Wednesday and be bacon-less until the following Sunday. 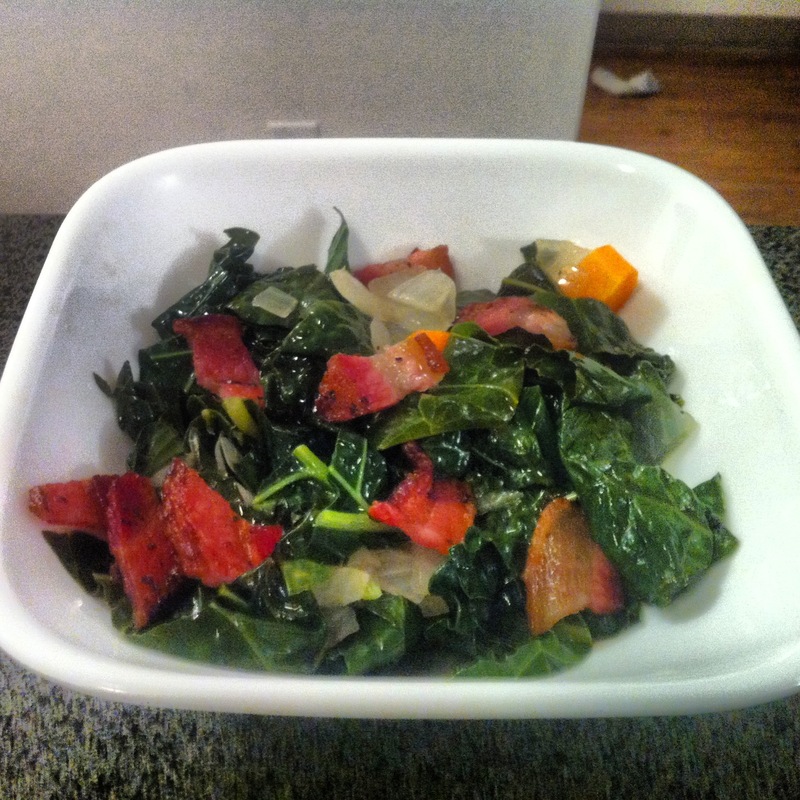 I wanted something easy that wouldn’t take long to make, hence the Cooked Kale with Bacon. 1. Cook bacon until crispy in fry pan. Remove from fry pan but leave the bacon grease. 2. Chop the onions and carrots and add to the bacon grease. Cook for about 4 minutes on medium heat until the onions and carrots start to soften. 3. Chop up kale and add to the pan, stirring for 2-3 minutes. Add the chicken stock, cover and let cook at low/medium heat for about 5 minutes or until kale has cooked. 4. Tear/cut bacon into small pieces and mix in with the cooked kale. 5. 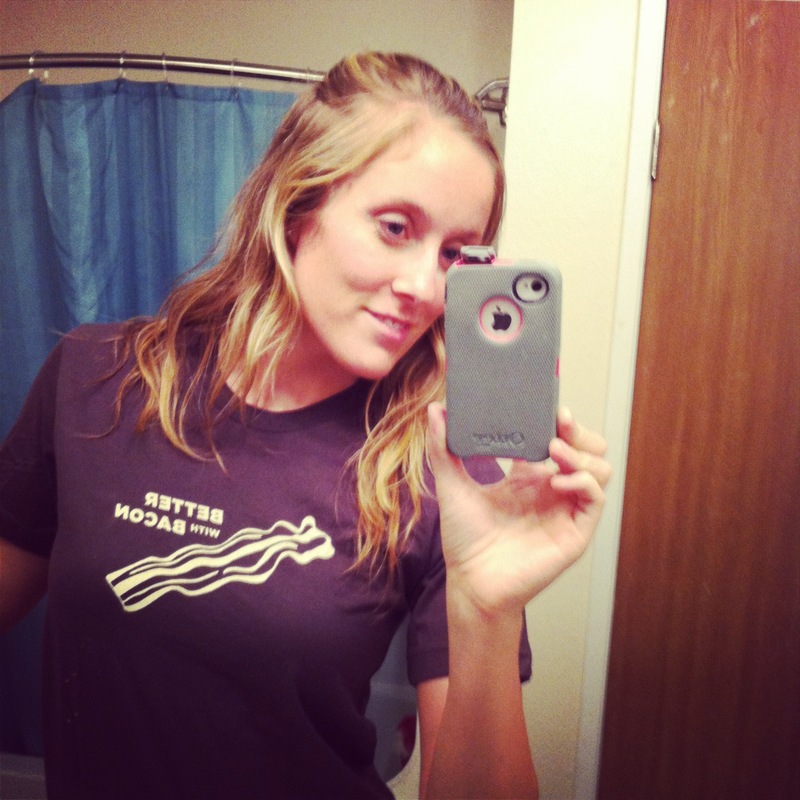 Enjoy your bacon knowing you are also getting some healthy vitamins from the kale and carrots! This entry was posted in Uncategorized and tagged clean eating, diet, Paleo, Recipe by fionaboger. Bookmark the permalink.